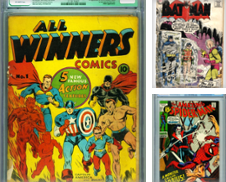 Comic books have been published for more than a century, and collectors categorize them into five 'Ages': Platinum (1897-1937), Golden (1938-55), Silver (1956-69), Bronze (1970-79), and Modern (1980-present). Rarity, title, issue, and condition determine value, although often one of those variables is far more important than the others. Some popular comic-book franchises include Spider-Man, Superman, X-Men, Batman, Green Lantern, and Incredible Hulk. One of the first newspaper comic strips, which were precursors to comic books, was Hogan's Alley, published in 1895 by Richard Felton Outcalt. This strip had the first 'speech bubbles,' and its lead character, The Yellow Kid, had his own book, "The Yellow Kid in McFadden's Flats," printed in 1897. 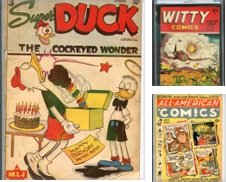 This book actually coined the term 'comic book,' and it marks the beginning of the Platinum Age, which ran until 1937. 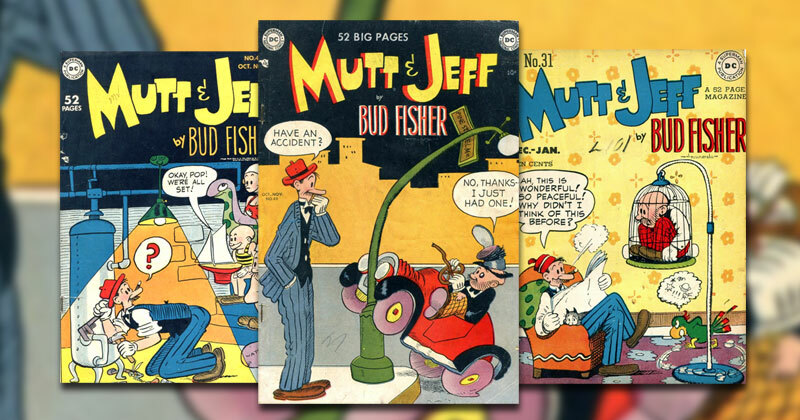 Subsequent newspaper comic strips such as Mutt and Jeff were reprinted in the form of books, after which publishers began experimenting with weekly comic books, selling them for 10 cents at newsstands. 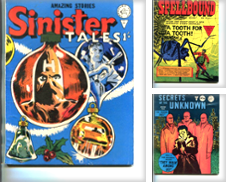 These pre-superhero comics were mostly pulp stories-tales of detectives, criminals, exotic travel, and adventure. The first costumed hero was The Phantom, who debuted in 1936, and wore a purple costume and black mask. 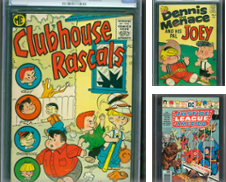 The Golden Age began in 1937, and comic books, previously meant for adults, were now focused more on youth. In 1938, a revolutionary new series, Action Comics, published by DC, introduced Superman, the first comic book character with superhuman abilities. Batman followed a year later, in Detective Comics #27, which was grittier than comics Superman appeared in, and initially read more like a mystery than a superhero comic. 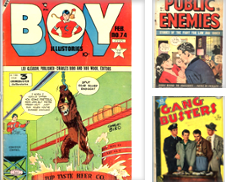 Superman got his own comic book in 1939, and this new format became the standard for American comics. 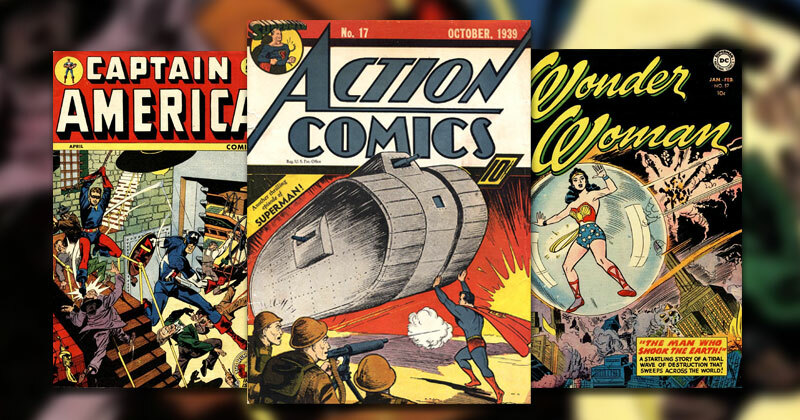 The Golden Age lasted until 1955, and introduced characters such as Captain Marvel, The Green Lantern, The Flash, Captain America, Wonder Woman, and The Spectre. Next came the Silver Age, with the revamping of The Flash, whose stories brought superhero comics back from their post-World War II slump. 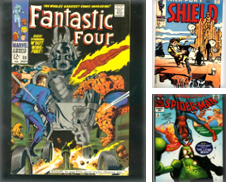 During this era, Stan Lee, Jack Kirby, and other artists at Marvel created some of the best-known comics ever, including superhero teams like Fantastic Four, the Avengers, and the X-Men. 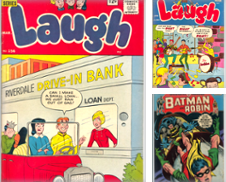 These comics are known for the emotional depth of their characters, unlike the eternally optimistic heroes of the Golden Age. 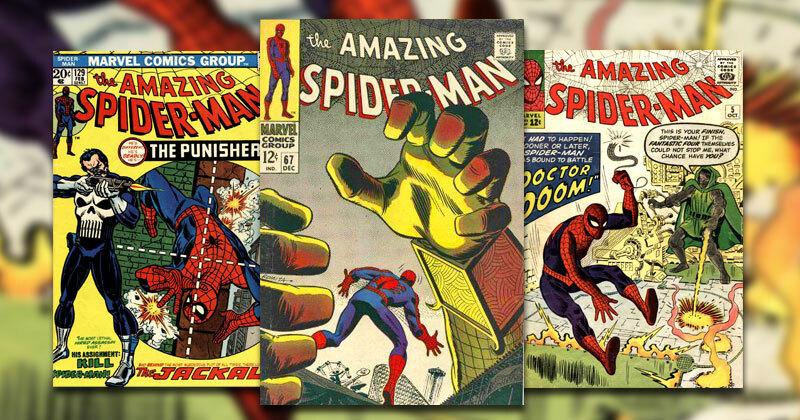 Spider-Man first appeared in 1962 to great success - he was a real, average guy, with a fantastic alter-ego that readers could relate to. Other characters introduced in this era include Aquaman, Martian Manhunter, and Dr. Doom. The Bronze Age (1970-1979) broke a lot of rules. Black superheroes, such as the Falcon, appeared, as did foreign heroes like Banshee, Sunfire, and Nightcrawler. Comics as a whole got more realistic, with Green Lantern and Green Arrow teaming up to take on real issues like urban crime and drug abuse. Innocent characters sometimes got killed off, superheroes often fought spirits, and more gritty, conflicted, and violent characters such as the Punisher and Wolverine appeared. 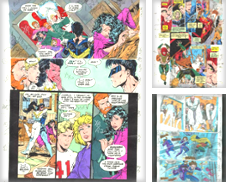 What comic book do you treasure most?